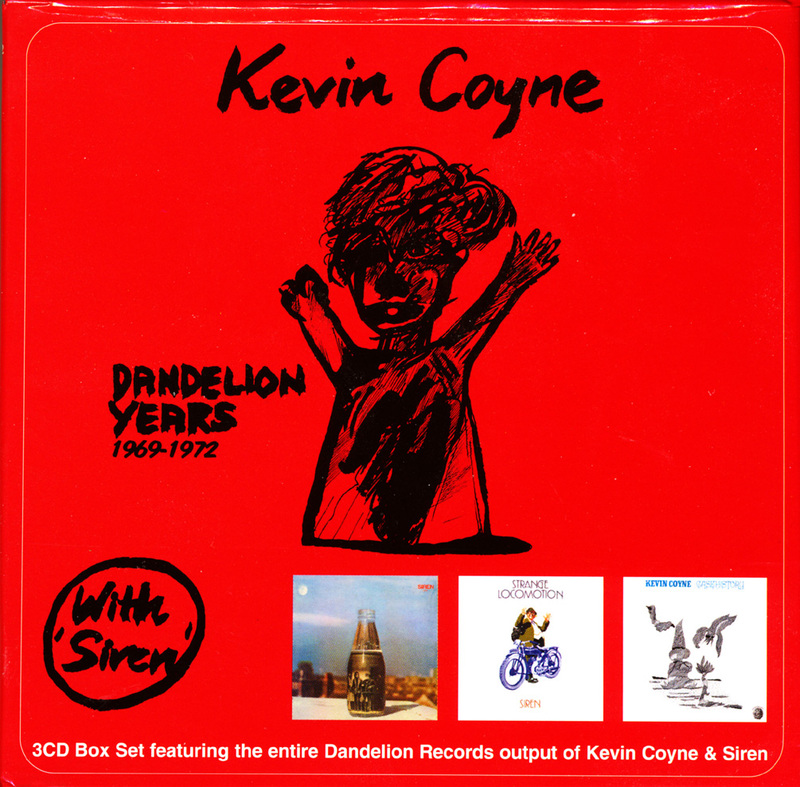 I first became acquainted with the utterly unique phenomenon that is Kevin Coyne with his second solo album, Marjory Razorblade, which is generally recognized by critics and fans as his best overall work. And what a work it is, nightmarishly combining blues, folk, Van Morrison-meets-Beefheart vocals and simultaneously humorous and disturbing lyrics and images across its sprawling 2 LPs worth of space. After digesting Marjory Razorblade, I had to hear more from Kevin Coyne. 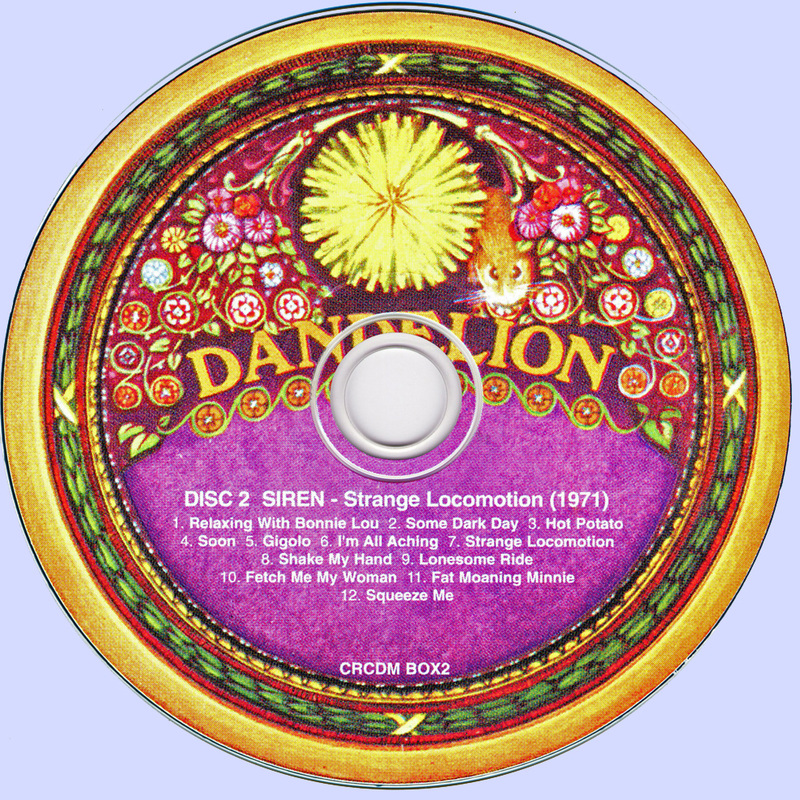 Since his mid-70's albums are considerably harder to find and since his solo debut, Case History, has nearly as strong a reputation as its sequel, I decided to pick up this 3 album compilation. The Siren material in this set doesn't hold up as well as Coyne's solo work. 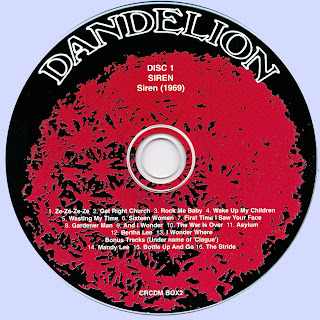 Their self-titled first album is the better of the two; it's a wide-ranging platter of British blues, ranging from hopping, dancy numbers ("Ze-Ze-Ze-Ze" and the raunchy "Gardener Man") to acoustic and electric slide-drenched ("Get Right Church" and "Wasting My Time") to piano-powered grinders like "Rock Me Baby" and "The War is Over"). The band whips out about every instrument and style in the blues idiom, but there's not a ton of idiosyncrasy to the playing (or a lot of the lyrics, for that matter), which both makes for a slightly bland experience and mirrors the direction British blues was going--running out of fresh ideas and retreading old ground. There's some good energy on some tracks, and Coyne has a great blues voice--growling, howling, wailing and whispering. There's no doubt that most of the personality found on Siren is thanks to him--tracks like "And I Wonder," "Asylum" and "I Wonder Where" all stand out as breaking the mold with more interesting, off-kilter lyrics and quiet intensity that presages later work. Strange Locomotion doesn't succeed in building upon Siren's promise. For the most part, it's more of the same in style and quality. At its best, the bluesiest stuff ("Gigolo," "Sheke My Hand") approaches the quality of Led Zeppelin a la Hats off to (Roy) Harper or the less weird tracks on Safe as Milk. Again (but less often than on the debut) the best moments are when Coyne's fascinatingly weird personality shines through, as on the subtly twisted "Some Dark Day" and the sparkling "Soon." Case History. 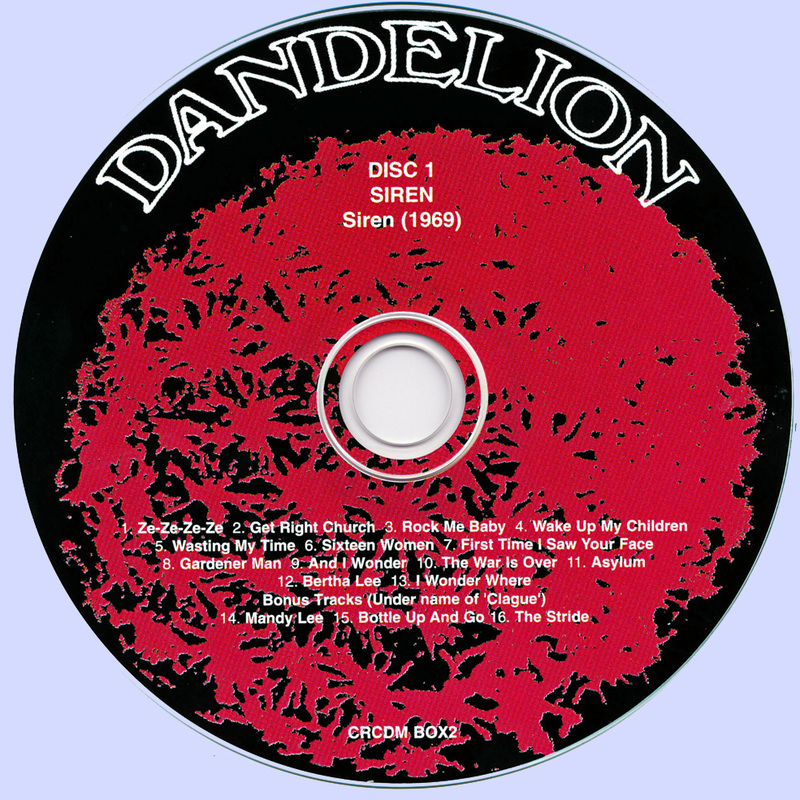 It's much more bare bones than Siren's albums, featuring mostly acoustic guitar and Coyne's distinct songwriting voice. All of the ideas that are later fleshed out with large band arrangements and varying styles and tempos on Marjory Razorblade are visited here with quiet intensity--"White Horse" is impenetrable and uneasy, "Uggy's Song" features Coyne's knack for jagged chord progressions and dissonance, "Need Somebody" is a perfect representation of his uncanny ability to project emotional isolation and loneliness, and "Evil Island Home" is an echoey creep-out. Themes of church oppression and eerily authentic accounts of madness appear on "My Message to the People" and "Mad Boy," respectively. 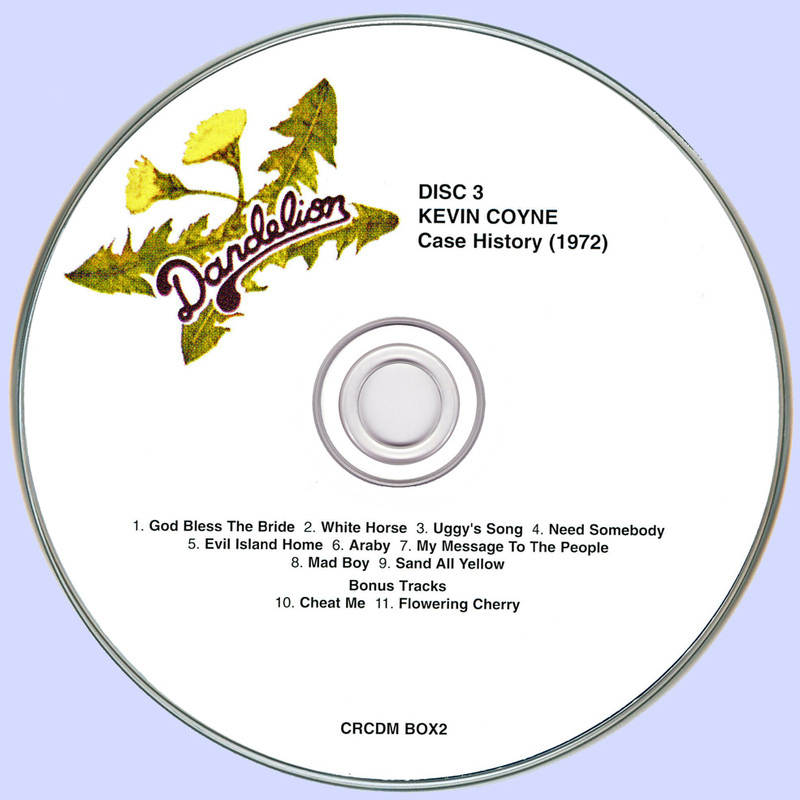 Throughout, Coyne proves his style as uncompromising and unique, from his experimental and evocative vocal style to his recognizable acoustic guitar style to his utterly inimitable songs (which is more than can be said for the bulk of the Siren albums). This is often unsettling work on several levels, but once you connect with these songs you'll understand why so many people praise this man's work. This reissue is of top quality--it sounds great, each album has its own disc and sleeve with original artwork, and the liner notes are informative and illuminating (especially with regards to Coyne's work in the mental health sector). Thank you very much Cor & Marios for this wonderful rip! None of the links are working for this one, would it be possible to upload them again please ? 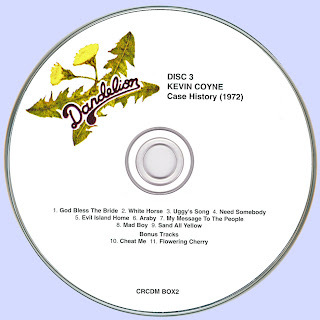 Ian, Kevin Coyne links fixed.